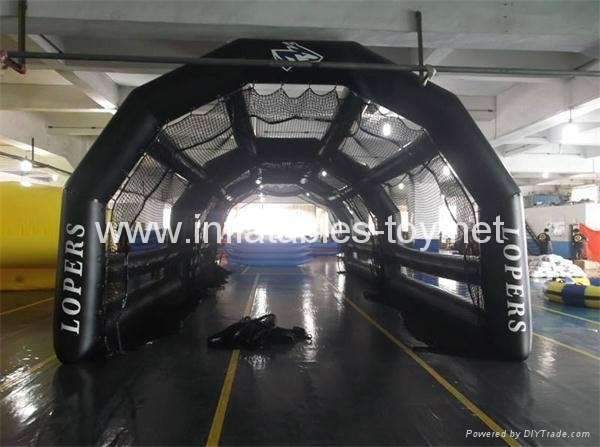 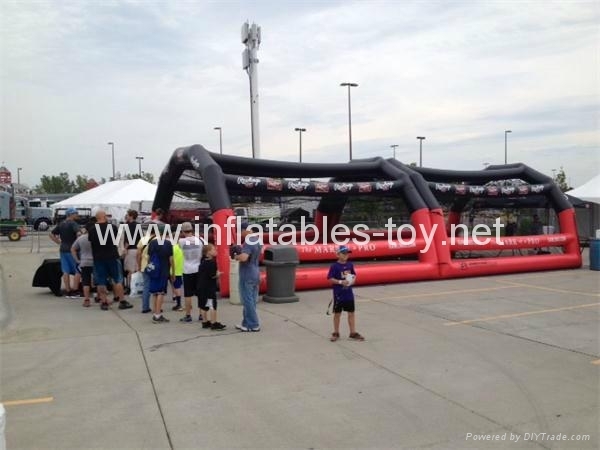 Our inflatable batting cage is amazing for use at festivals, trade shows, corporate events, parades, pro sports shops, family reunions and even great for home use. 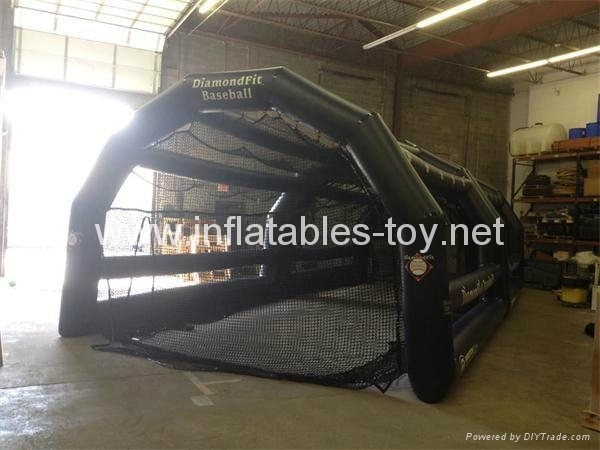 Especially created for all the sluggers out there looking for their own cage to practice in; however, anyone looking to simply have some batting fun is welcome to enjoy this product as well. 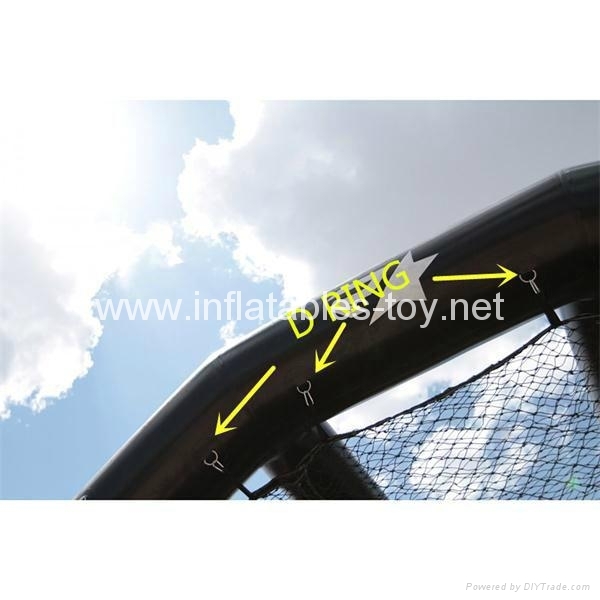 This product offers a comfortable batting space. 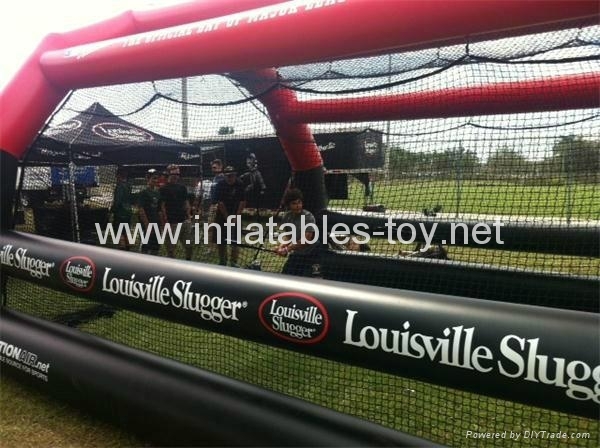 Batters can enjoy the Batting Cage anywhere that allows space for it.